Herbal Times 5:1 full spectrum extracts are produced at a state-of-the-art facility, yielding a standardized granule size with aromas and colors consistent with the original herbs, while maintaining all of its constituents. The unique technology utilized creates a more water -soluble extract than those utilizing older processes, resulting in smoother dissolution. 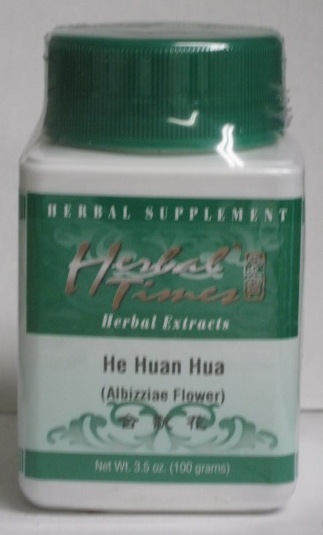 Nuherbs Co. subjects Herbal Times® Herbal Extracts to the some of the most stringent testing standards in our industry. Every lot is produced at a U.K. B.R.C. GMP certified factory and tested for heavy metals and microbacteria, so you can be assured of you or your patients’ safety. Cold, light, and ascending, disperses exterior wind-heat, extinguishes internal wind, cools the Lungs and Liver, vents rashes, stops itching, soothes the throat. * - Bensky: Chinese Herbal Medicine Materia Medica, rd ed. "Sweet, bitter, and slightly cold, Pyrrosiae Folium (shi wei) primarily enters the Lung and Bladder channels." Bensky: Chinese Herbal Medicine Materia Medica, 3rd ed. These are ripe grains of wheat that do not float.